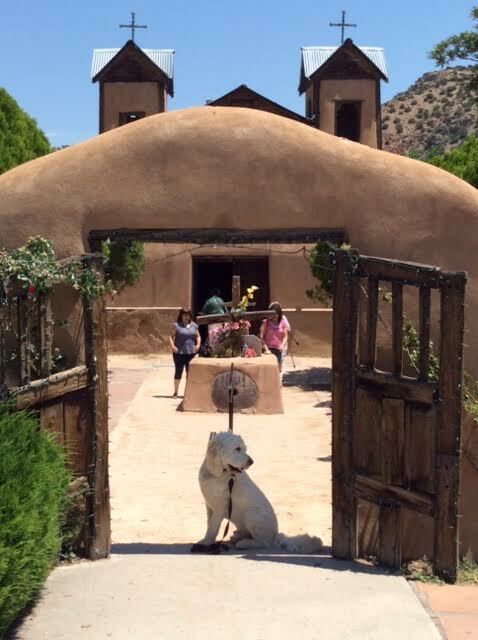 Santa Fe has so many wonderful sites and smells, but who can resist a day of adventure when so many great spots are located within a few short hours?!? 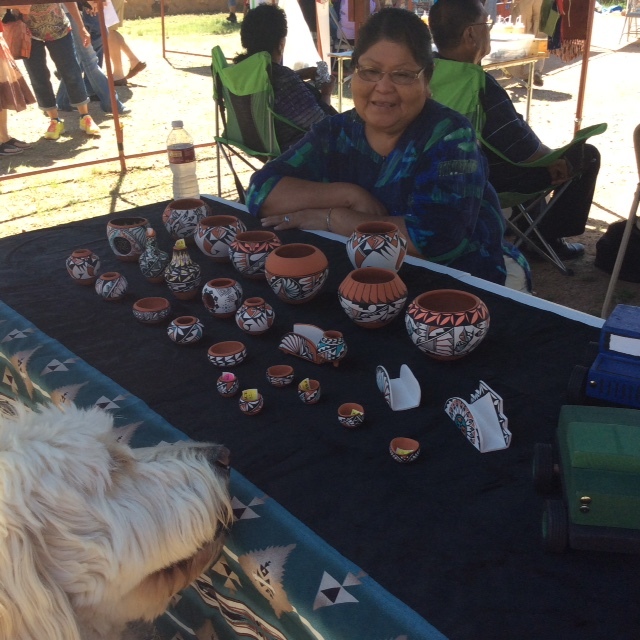 Chimayo is a tiny village with great spiritual relevance and old world charm. 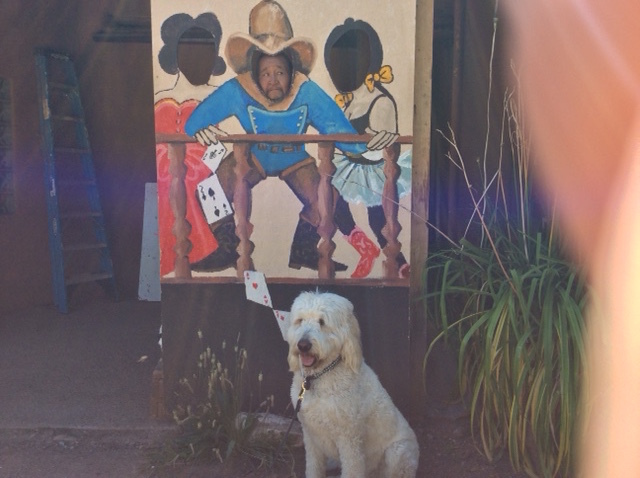 People often say us dogs have heightened senses and I feel especially humbled, more at peace, when in Chimayo. 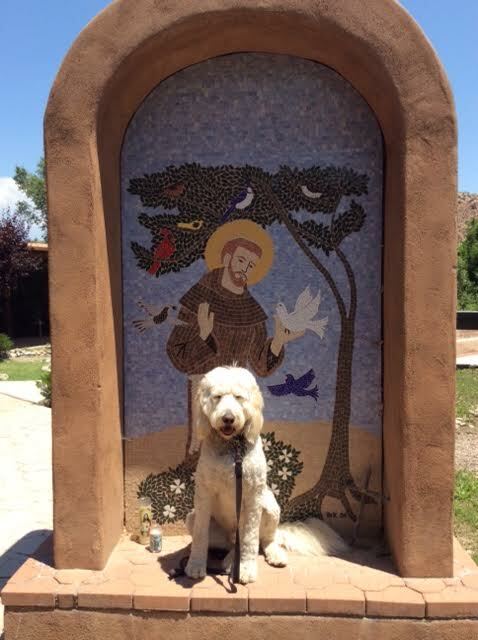 The home of the Santa de Nino Chapel and Sanctuario De Chimayo, Wendy says Chimayo has been a destination of more than 300,000 pilgrims each year. They journey far and wide to embrace the healing powers of the local soil that can be found inside in the “el pocito,” which in Spanish means “little well”. Here I am sitting outside the Sanctuario. 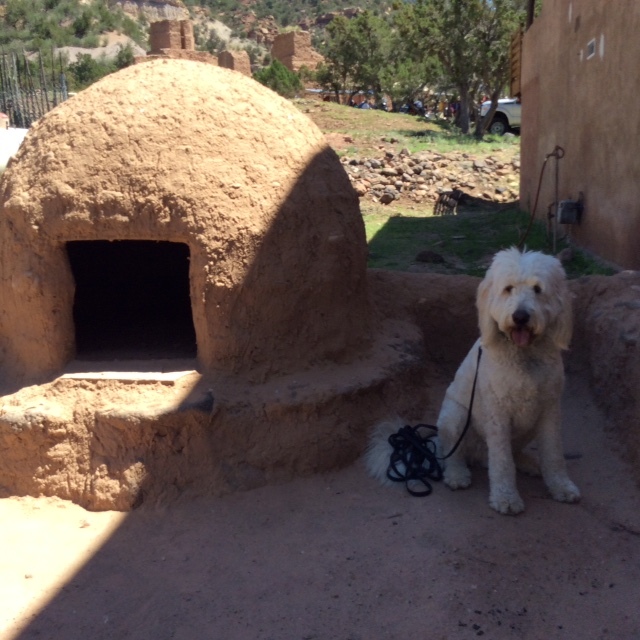 Chimayo welcomes dogs as much as Santa Fe! The locals are always giving my friend Fawn and I pets. Bandelier National Monument, Valles Caldera, and town of Jemez Springs- Approx. 1 hour 34 minutes from Santa Fe. This is one of Wendy and my favorite day trips, because it includes 3 different experiences. Bandelier National Monument show cases some of the most interesting cliff dwellings Wendy has ever seen. Also, you can pick up maps at the visitor center. 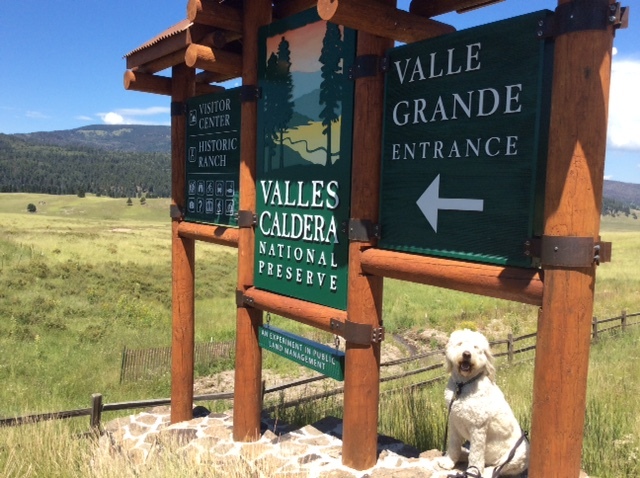 We doggies are able to visit the Valle Grande and Coyote Call Trails as well as the La Jara campground. 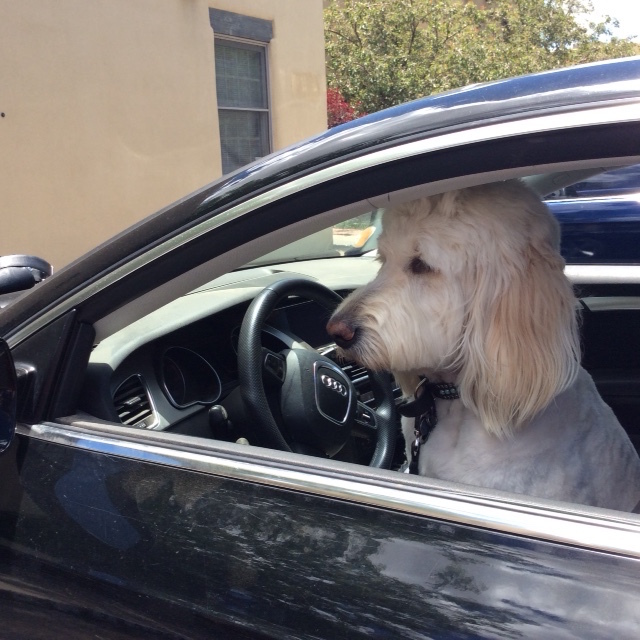 We just have to wear our collar and leashes. 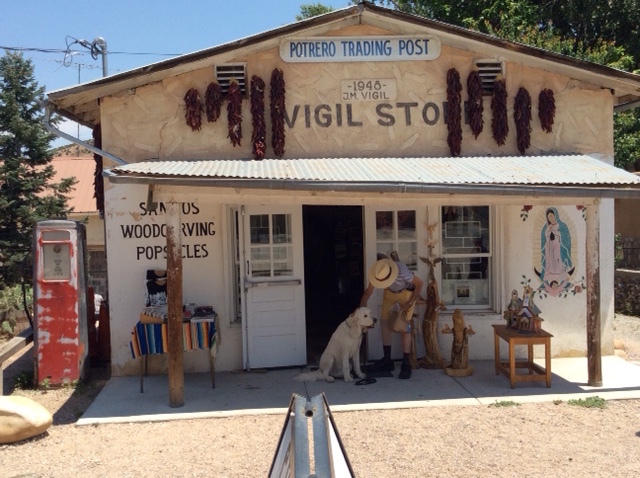 New Mexico has so many enchanting smaller towns full of character! 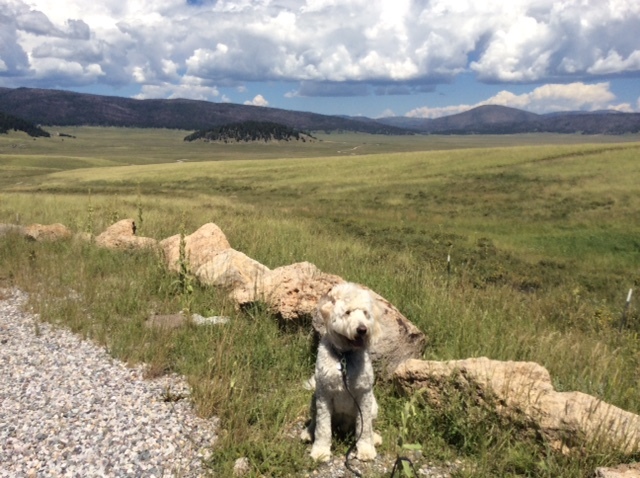 Wendy and I had a lot of fun when we headed South of Santa Fe to Madrid and Lamy. We went to both cities in one trip, but you can definitely visit just Lamy, which is 27 minutes from Santa Fe or just Madrid; 39 minutes from Santa Fe. 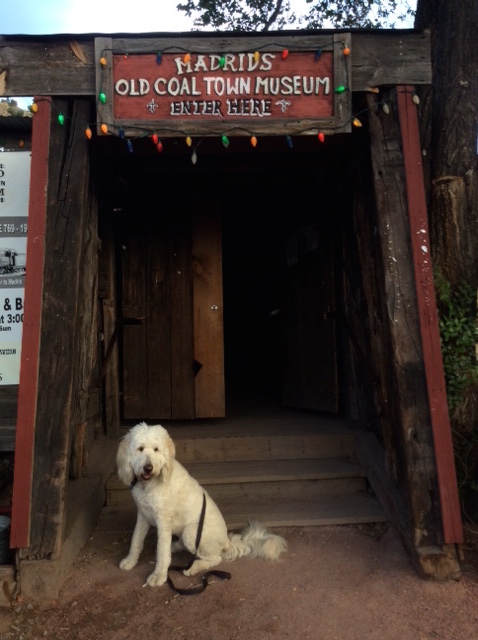 Here I am outside the Old Coal Town Museum and the Mine Shaft Tavern. 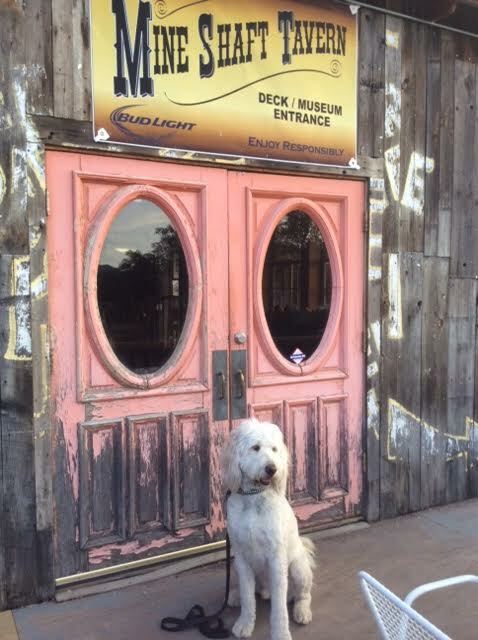 The museum is unfortunately not pup friendly, but the tavern is! The Old Coal Town Museum and Mine Shaft Tavern are said to be haunted! Wendy says ghost and paranormal studies frequently take place at both the tavern and the museum; where they hope to catch glimpses of the strange occurrences. Luckily, I don’t spook too easily. I mean what kind of guard dog would I be...Wendy says the museum has an old train you can step into and ring the bell as well as a small theater with regular shows. 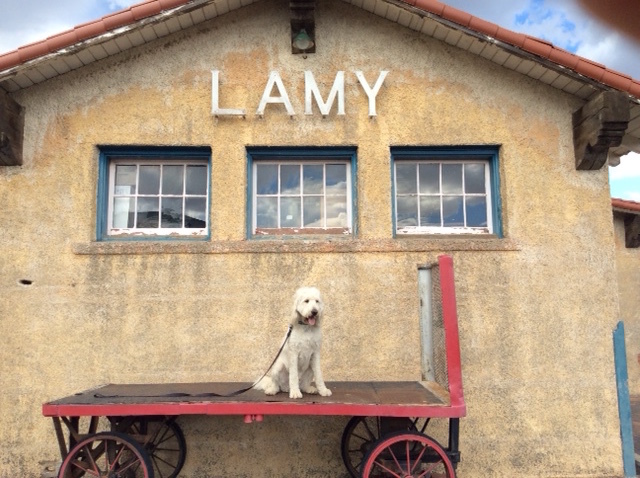 Lamy is a small railroad town that also has a museum Wendy enjoys visiting where the guided tour teaches about the rich history of Lamy. Here’s a photo of me waiting for Wendy.